Take the first steps toward mechanizing an animatronic head with master creature effects mechanic Craig Caton-Largent (Jurassic Park, Terminator 2: Judgment Day, Predator 2). 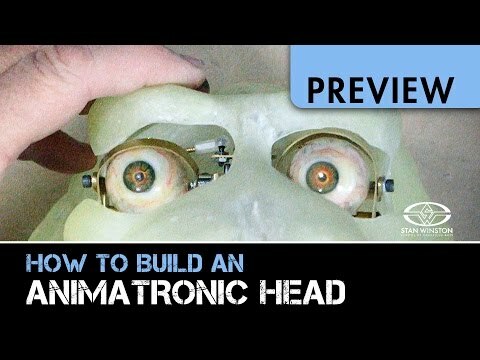 In Part 2 of his 4-part webcourse series on DIY animatronics, Caton-Largent teaches you how to design, construct, and mount eye mechanisms inside your character's fiberglass underskull. This is a great class! I took it live. Never built an under skull before or fully functional eyes. very informative.